The knee consists of many different parts that fit and work together to allow for smooth movements and, of course, the ability to walk and run. With such a complex system of muscles, nerves, bones and other components working together, the knee is also a suspect to injury now and then. While some injuries may be minor and tend to heal within just a couple of weeks, other injuries can be more severe and even need surgery for optimum recovery. 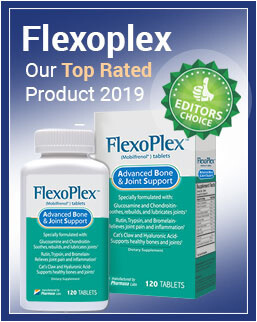 Joint pain is a common problem that people experience in this part of their body and can be caused by a wide variety of factors, such as injury directly to the knee – in the form of physical impact to the knee or from an unnatural movement that may cause some parts of the knee to tear, break or get injured in another way. We would like to discuss a particular part of the knee that is often overlooked when people do obtain a knee injury and find that their knee becomes painful – the meniscus. We are going to take a deeper look at what the meniscus is, how it can be injured and discuss the most appropriate treatment options for recovering from such an injury. Inside the knee, two rubbery substances, each possessing a c-shape and often referred to as a disc, can be found. These two rubbery substances are known as the meniscus of the knee and have a cushioning effect that assists with the protection of the knee against injury. In addition to protecting against injury, the meniscus is also responsible for assisting with the balancing of weight that is placed on the knee. One of these discs can be found at the knee’s outer edge, while the other one can be found at the knee’s inner edge. As you may have noticed, these discs do play an important role in the knee and, when injured, can lead to the development of numerous problems. Stone Clinic reports that the meniscus discs also play vital parts in the lubrication of joints, and also supports the joint’s stability. Essentially, the meniscus is cartilage that lies between two bones that prevent bones from touching each other when the knee is moved in any way. Without this cushioning, bones would grind against each other, which leads to pain and other symptoms. Unfortunately, they can become damaged in various ways – in some cases, a person would injure their meniscus when they simply make a sudden movement with their knee while their feet are planted on the ground in a different position that the position in which the knee is moved. A study published on Science Direct conducted a study on 17,397 participants who had previously suffered from some kind of sports injuries. Amongst these subjects, a total of 19,530 injuries were counted in total. Injuries to the knee accounted for 37% of the participants and for 39.8% of all recorded injuries. 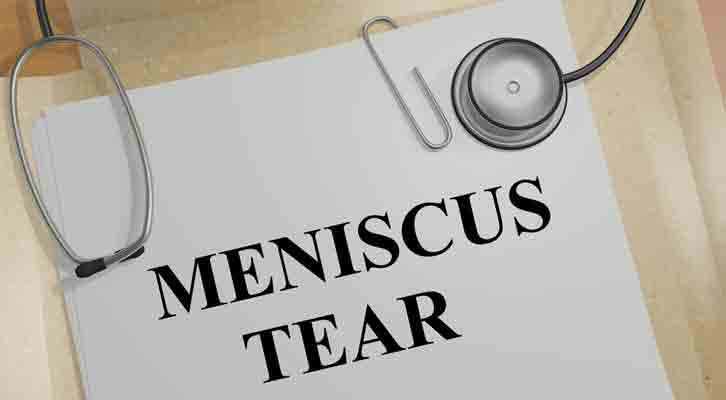 A report by Medscape explains that no particular studies have been conducted to determine the prevalence of meniscus injuries specifically, but certain traits have been identified and associated with this type of injury. They report that a tear in the meniscus disc is one of the more common sports-related knee injuries, especially amongst younger adults. This particular type of injury is very rare in children who are under the age of 10. Furthermore, they also report that this injury is far more common in men than it is in women, and it is more prevalent amongst younger men and then again in individuals over the age of 55. The knee can be injured in many ways, and different parts of the knee may be damaged by a particular injury; thus identifying the particular symptoms that may be caused by a meniscus tear can help an affected individual determine if they may have injured this particular part of their knee. WebMD explains that, as with any other knee injury, the pain would be the most obvious symptom. Inflammation is also another common symptom, which may be accompanied by a reduction in the knee’s range of motion. During the injury, a popping sensation may also be experienced. People with a meniscus tear sometimes also experience a knee lock up, which means their knee gets stuck in a particular position and it becomes difficult to get it out of the position it is locked in. A meniscus tear will be treated according to the severity of the injury. Medicine Net reports that, in most cases, a meniscus tear can be treated with a series of anti-inflammatory drugs, accompanied by some physical therapy sessions. This will help to alleviate the inflammation and also strengthen the muscles that surround the knee joint. When these treatments are administered, the meniscus tear will heal in a couple of weeks. It could take somewhat longer if the tear were more severe, but not severe enough for surgery. When the tear is severe and cannot heal on its own, a doctor may prefer to recommend a surgical option to the patient. In such a case, the patient would also not be able to participate in their regular exercise routines before the location has thoroughly healed. When painful symptoms are experienced in the knee, it is often difficult to determine the specific causes without first obtaining appropriate tests and scans. These scans allow a doctor to take a closer look at what exactly is going on inside the knee, and can help them identify possible problems that may be causing the painful symptoms a patient is experiencing. A meniscus injury can particularly cause severely painful symptoms, but this type of injury can often be treated with simple measures that do not necessarily require a surgical approach. Obtaining medical advice for such an injury in important as the condition first needs to be assessed before treatment measures should be executed.